Canada claimed the bronze medal at the women's world hockey championship with a 7-0 win over Russia on Sunday in Espoo, Finland. The Finns play for gold at 1 p.m. ET against the defending champion United States. 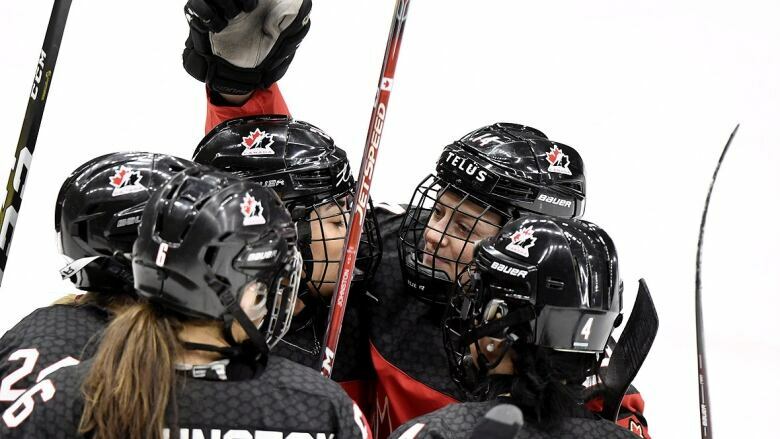 The Canadians heard 'O Canada' after their final game of the women's world hockey championship, yet nobody standing on the blue-line was smiling. "Mentally, probably the toughest game that most of us have ever played in I think," captain Brianne Jenner said from Espoo, Finland. "We did what we had to do to make sure we left this tournament with a medal. "We now have what I would call a legitimate natural goal-scorer," Pearn said. "Coming off such a low [Saturday], we really had to find energy today and bring that," Spooner said. "I think in the game we did a lot of good things and we brought that energy. Canada's blue-collar game crystallized in a 6-1 win over Finland to cap the group stage and also 5-0 victory over Germany in the quarter-final.